Dr. Zuzana Grunberger and her staff see patients of all ages, from baby’s first dental visit all the way up through the senior years. 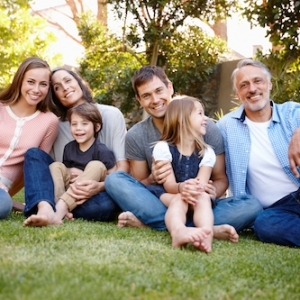 At Livonia Family Dental, we handle the unique needs of all ages in one convenient location. We frequently book family appointments so that you can save time by having all your family members treated at one time. We care about your family and hope to get to know our individual patients personally. We strive to be accommodating and helpful in any way we can. Additionally, we want you to feel confident in every decision you make, which is why we take the time to educate you regarding your care. Our knowledgeable team will explain your oral health condition and treatment options, as well as the pros and cons associated with each, so you can make an informed decision and choose the best treatment for you. We want you to know that you have control over your oral health. 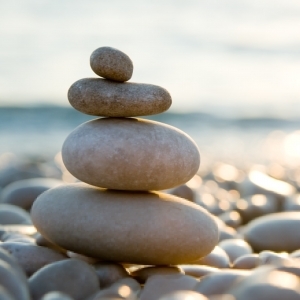 Preventive dental care is the cornerstone of our practice. Preventing issues such as gum disease and inflammation can save you from serious health complications that have been linked to the bacteria present in your mouth. Through education and the latest technology, we show you the best preventive care and coach you to take the best care of your teeth for LIFE. We are proud to offer expert cleanings from our skilled and gentle dental hygienists. Whether you’re due for your regular six-month visit or it’s been a while since your last appointment, we’ll provide the cleaning that’s appropriate for you to get or keep you on the path to excellent dental health. In addition to removing plaque and tartar build-up and polishing your teeth, your cleanings are also an excellent opportunity to touch base and provide advice to help you improve your routine or to answer any questions and address any concerns you may currently have about your dental health. Call (734) 427-2222 today to schedule your cleaning! Many patients love the attractive nature that white composite fillings and other non-metal fillings provide over traditional amalgam metal fillings, however they are not aware that these more aesthetically pleasing options are likely to contain a chemical known as Bisphenol A, or BPA for short. BPA is a controversial chemical found in plastics that has been related to health illness. Some people replace their amalgam mercury fillings with newer white composite fillings, but many of these types of composite fillings also contain BPA. Safety is important. Dr. Grunberger believes in safe dental treatment that does not involve the use of any controversial chemicals such as BPA or mercury. BPA free white composite fillings are the best and safest alternative to traditional silver, amalgam fillings. Health-conscious patients can expect to be treated with only the safest ingredients that factor in more than just a nice smile. No worry about chemicals leaking into your bloodstream. Provides more stability over amalgam. Composite resin is unaffected by changes in temperature. Formation of natural bond results in added strength. Contact us to schedule a consultation and find out more about how to replace your metal fillings with a safer, BPA free material. Brushing and flossing are the best ways to help prevent cavities, but it’s not always easy to clean every nook and cranny of your teeth – especially those back teeth you use to chew (called molars). Molars are rough, uneven and a favorite place for leftover food and cavity-causing bacteria to hide. 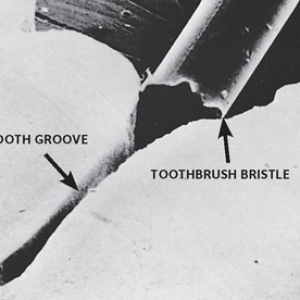 It doesn’t help when most toothbrush bristles are too big to reach inside a groove on a molar tooth. Luckily, there’s a safety net to help keep those teeth clean. It’s called a sealant, and it is a thin, protective coating that adheres to the chewing surface of your back teeth. They’re no substitute for brushing and flossing, but they can keep cavities from forming and may even stop early stages of decay from becoming a full-blown cavity. Children and adults can benefit from sealants, but the earlier you get them, the better. Your first molars appear around age 6, and second molars break through around age 12. Sealing these teeth as soon as they come through can keep them cavity-free from the start, which helps save time and money in the long run. Ask us if sealants are a good option for you and your family. Sealants can be used over areas of early decay to prevent further damage to your tooth. Because some sealants are clear, we will keep an eye on the tooth to make sure the sealant is doing its job. Gum Therapy (or Scaling and Root Planing (SRP)) – is the most effective way to treat gum disease. During SRP, we clean between the gums and teeth, down to the root. We may need to use local anesthetic to numb the gums and the roots of your teeth while the procedure is performed. 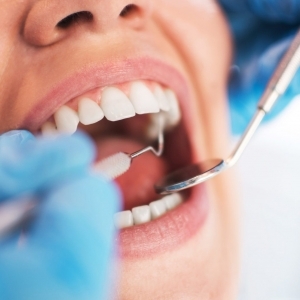 It is important that individuals with gum (periodontal) disease have this procedure done. Gum disease is an infection of the tissues surrounding and supporting the teeth. It is a major cause of tooth loss in adults. Because gum disease is usually painless, you may not know you have it. Gum disease is caused by plaque, a sticky film of bacteria that constantly forms on the teeth. These bacteria create toxins that can damage the gums. In the early stage of gum disease, called gingivitis, the gums become red, swollen and bleed easily. At this stage, the disease is still reversible and can usually be eliminated by daily brushing and flossing. In the more advanced stages of gum disease, called periodontitis, the gums and bone that support the teeth can become seriously damaged. The teeth can become loose, fall out or may have to be removed. If you are missing a tooth, getting a dental implant is the best way to restore your smile back to a healthy one. There is no other tooth-replacement option that will give you a longer-lasting result. 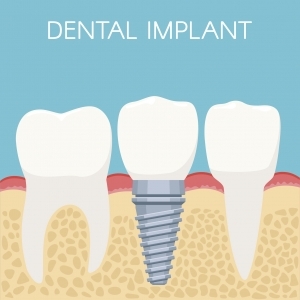 Implants also help preserve the bone that naturally deteriorates when a tooth is lost. Loss of bone is one of the major consequences of losing teeth. A dental implant most often takes the form of a small, screw-shaped titanium post that replaces the root-part of a missing tooth. The surgical procedure used to place an implant requires only local anesthesia in most cases. After a healing period, the implant is topped with a lifelike crown made to match your existing natural teeth. Implants have a documented success rate of over 95%, which is significantly higher than any other tooth-replacement option. Improved speech.With poor-fitting dentures, the teeth can slip within the mouth causing you to mumble or slur your words. Dental implants allow you to speak without the worry that teeth might slip. Improved comfort.Because they become part of you, implants eliminate the discomfort of removable dentures. Easier eating.Sliding dentures can make chewing difficult. Dental implants function like your own teeth, allowing you to eat your favorite foods with confidence and without pain. Improved self-esteem.Dental implants can give you back your smile and help you feel better about yourself. Improved oral health.Dental implants don’t require reducing other teeth, as a tooth-supported bridge does. Because nearby teeth are not altered to support the implant, more of your own teeth are left intact, improving long-term oral health. Individual implants also allow easier access between teeth, improving oral hygiene. At Livonia Family Dental, we are happy to schedule a consultation to answer any questions you may have about dental implants. We take the time to meet your needs and educate you on the many options we have available to restore your smile. Dental porcelain can be sculpted to closely imitate the look of natural tooth enamel, while providing desirable strength and resilience. Porcelain crowns are an excellent choice when recreating the form and function of a damaged tooth, because a crown basically replaces the entire external portion of the tooth down to the gum level. Crowns are not limited to simply replacing the original tooth, but can be designed to create an even better esthetic appearance. A root canal is a treatment to repair and save a badly damaged or infected tooth. The pulp inside the tooth can become infected with bacteria because of an injury or because of a severe, untreated cavity. Without treatment, the infection can become severe enough that the tooth must be removed. The root canal procedure involves removing the damaged area of the tooth (the pulp), cleaning and disinfecting it and then filling and sealing it. The term “root canal” comes from cleaning of the canals inside the tooth’s root. A treated and restored tooth can last a lifetime with proper care. Root canals have a high success rate, especially when good oral hygiene is practiced and you visit us regularly to keep your teeth clean and well cared for. We all like to joke about how much we hate to visit the dentist, but fear is a very real thing holding many people back from seeing the dentist. Many people suffer from dental anxiety, but we are here to alleviate any discomfort or fear you may have visiting us! Read below to find out more about the services we offer in our office to make your visit more comfortable. Nitrous oxide is a safe sedative that is mixed with oxygen and breathed through a small mask that fits over your nose. It is a very effective remedy for anxiety and its effects can be felt within minutes. It allows you to feel calm and comfortable throughout your dental procedure and the effects wear off shortly after removing the mask. It is safe to drive home or return back to work after having nitrous oxide. We offer cleansing cloths scented with essential oils to clean up with and feel refreshed after your procedure. If you’re feeling cold while sitting in the chair, we have warm cozy blankets available to help you feel relaxed and comfortable. We offer noise-cancelling headphones for patients that want total distraction during their dental visit. You can choose to listen to your own device, or we have devices pre-downloaded with soothing music you can enjoy during your visit. These are wonderful for blocking out bright light while the scent of lavender will keep you naturally relaxed and calm during your procedure. We are even happy to warm them up for you to enhance the effects of the lavender. We offer chilled water, coffee and tea in the waiting room, and have a selection of yummy chocolate and sugar free candy at the checkout counter. We want you to feel at home in our office!